The keynote speaker will be Robert Hinden (Checkpoint fellow), who together with Steve Deering designed the architecture of the IPv6 protocol (in standard RFC 1883, which was later replaced by standard RFC 2460). 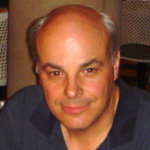 We can proudly say that we’ll have one of the fathers of the IPv6 protocol as guest at our IPv6 summit. Robert Hinden, author of the RFC series of standards (38 of them), has contributed greatly to the development of IPv6 over the last 16 years. He has an outstanding history of achievement, including participation in the group that introduced the IP protocol in Sun Systems (Sun OS), before which he was also involved in the development of the first working internet router. We are delighted that after talks lasting a number of years, he has accepted our invitation. We are convinced that you will enjoy his company and his talk, and will come away having learnt a great deal. We will once again be joined by Ron Broersma (DREN Chief Engineer and SPAWAR Network Security Manager). Given the central theme of the meeting, he will explain the motivation behind IPv6 adoption in their business network, and will give advice on what steps other big companies should be taking. Ron Broersma has a rich history in Internet operations and development, he operated arpa-net node nr.3 and had a great impact in transition process from arpa-net to Internet, from NCP to TCP. He is one of Internet pioneers and a well of knowledge and experience, when it comes to the discussion about the future and the past of the Internet. We are delighted to welcome Ron back – last time, delegates rated him as one of the best speakers. Aaron Hughes is the founder and owner of 6Connect, a company that develops and provides an exceptional “IP address management” (IPAM) system. IPAM systems are almost essential for fast and effective adoption of IPv6 in large business environments and for internet service providers. He has previously offered us an opportunity to view his demo presentation, but we are convinced that you will find his presentation worth attending. Aaron is also an IPv6 legend in the USA, as he has been involved in most ARIN community IPv6-projects. He also works with the American government on IPv6 and is among those most responsible for the progress made in adopting IPv6 generally. Jason Festler, head IPv6 engineer at Yahoo!, will describe the problems Yahoo! faced in adopting IPv6 in their business environment and on the network that hosts their content and services. Jason is also a prime mover behind and proponent of the IPv6 protocol. As part of last year’s world IPv6 day, he set up a popular website to test IPv6 readiness. Andrew Yourtchenko from Cisco is a leading expert in the field of IPv6 security, working closely with Eric Vyncke. He is also active in the field of translation mechanisms. Together with Dan Wing, he wrote RFC 6555 entitled “Happy Eyeballs”, which introduced a new method for initiating IP sessions – now both (IPv4 and IPv6) in parallel. This system has begun to be adopted by all major web browsers as well as some operating systems (Apple) at the basic TCP level. On Friday afternoon, Andrew will chair a practical workshop entitled “IPv6 L2 security”, which will consider security deficiencies in the IPv6 protocol on the second layer, as well as what can be done to protect networks. Ivan Pepelnjak, CCIE No. 1354 Emeritus, has built his first proprietary WAN network in early 1980’s. He has been designing, installing, troubleshooting, and operating large service provider and enterprise WAN and LAN networks since 1990 and is currently chief technology advisor at NIL Data Communications, focusing on advanced IP-based networks and web technologies. His books published by Cisco Press include MPLS and VPN Architectures and EIGRP Network Design. In his role as technical director of NIL Data Communications, Ivan focused exclusively on large-scale IP networks, became one of the early Cisco Certified Internetworking Experts (CCIE) and one of the first Cisco-certified instructors. His extensive knowledge helped service providers, such as British Telecom, Deutsche Telekom, France Telecom, Global One, Telia and SITA deploy large-scale state-of-the art IP or MPLS networks. Large corporations benefiting from his experience include equipment manufacturers and integrators, such as Cisco Systems, Digital, Hewlett Packard, IBM, Unisys, as well as banks (Dresdner Bank in Germany) and petroleum industry companies (Statoil in Norway). 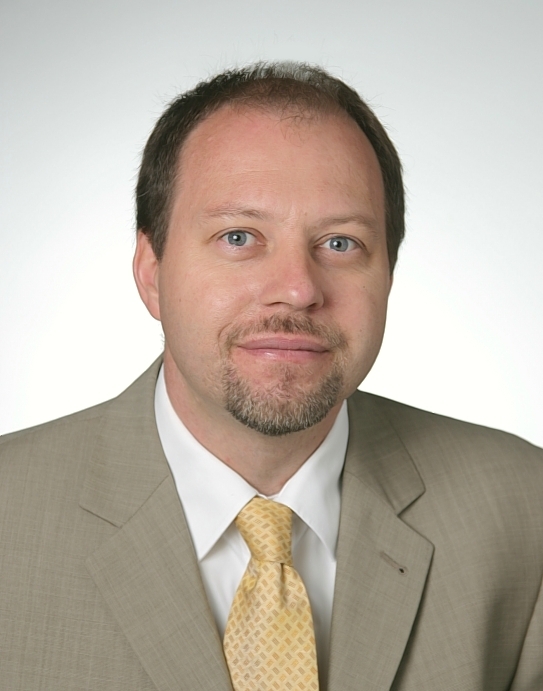 He was also able to transform the hands-on experience gained in consulting projects into an educational framework when he was one of the architects of Cisco Systems’ Service Provider curriculum and the lead developer of several Service Provider-focused courses covering Border Gateway Protocol (BGP), Multi-protocol Label Switching (MPLS) and IP Quality of Service. These days, you’ll likely find Ivan solving interesting networking or web-related challenges or you might find him hiking, mountain-biking or rock-climbing somewhere high in the European Alps. Sander Steffann, started working in the Internet industry in 1995, when he helped to start up Computel Standby BV. Computel started in Apeldoorn (NL) as a small ISP, started the Nederland.net foundation, and has grown into a server management company with its own small datacenter. He became a RIPE Address Policy Working Group chair in May 2007. In May 2008 he left Computel and started working for Max.nl, which is a web application development company which specialises in Google Maps based application. He was responsible for the development of the MaxLib, the software library that is used for all Max.nl projects. In March 2010 he left Max.nl to start his own company. He’s focusing on internet infrastructure related subjects such as IPv6, routing and security. Nathalie Trenaman is a Trainer at the RIPE Network Coordination Centre (NCC). She travels throughout the RIPE NCC service region (Europe, the Middle East and parts of Central Asia) to give training courses on a number of topics, including: Local Internet Registry (LIR), IPv6, and the Routing Registry. Nathalie is also responsible for the ongoing development of the IPv6 for LIRs training course material. Prior to joining the RIPE NCC, Nathalie spent eight years working for LIRs. To date, she has over ten years of experience in technical roles such as IPv4 and IPv6, DNS, domain names and network engineering. the knowledge of Security and IPv6. Irena Nikolova is a Network Engineer at Google. She has been involved in most of the enterprise IPv6 initiatives in the company up to present, more specifically designing and deploying IPv6-only networks. Along with that she’s responsible for designing different network solutions, testing new products and platforms, optimizing performance, and escalation troubleshooting. Irena will take part in a panel discussion during the ISOC ION meeting on Friday morning. Daniel Federer is key account manager at SIDN, the registry of .nl, which is the world’s 3d largest ccTLD with over 5 million domain names registered to date. At SIDN Daniel is primarily responsible for registrar-relations with the largest .nl registrars, both in the Netherlands and abroad. 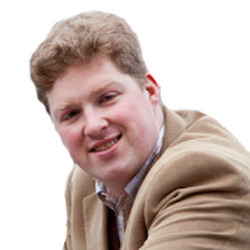 He was actively involved in developing, designing and managing the DNSSEC registrar-adoption program for .nl, which has been very successful. SIDN currently has over 1 million DNSSEC signed domains and is the TLD with the largest number of signed domain names worldwide. Daniel started working at SIDN in 2009. He has a sales background in IT services for small and medium enterprises with more than 10 years of experience. He has also been involved in developing, alongside IT services, new product lines for hosting, hosted desktop and domain registration. Lee Howard is the Director of Network Technology for Time Warner Cable, where his is responsible for the company’s IPv6 deployment, and representation at several standards bodies. From 2004 to 2008, he was the Director of IT Engineering for a U.S. government contractor. Before that, Lee worked at UUNET from 1997 until 2003, where he managed service delivery of Internet access, including VPN and VoIP services around the world. 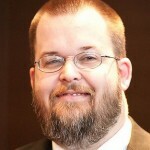 He currently serves as Working Group Chair for the IETF 6renum working group. He served for seven years on the Board of Trustees of ARIN, as Vice Chair, Secretary, and Treasurer. He also spent a year on ICANN’s Address Supporting Organization Address Council. Richard is the Director, Deployment and Operationalization, at the Internet Society. He has been actively involved in Internet resource governance and education since the 1990s. His focus at the Internet Society is to advance and grow the Internet through the delivery of implementation-critical information for deployment of key Internet technologies. Richard facilitated Internet advancement as a lead executive at the American Registry for Internet Numbers (ARIN) over a thirteen-year period. He directed registration activities, company operations, and several outreach initiatives during his years at ARIN. In his final years at ARIN, Richard led a high profile outreach campaign to raise Internet community awareness of IPv4 depletion and the critical need for IPv6 adoption. Richard has communicated with thousands of companies about their adoption of new technologies and standards over the years. Borka Jerman Blažič is a Slovenian and Yugoslavian Internet pioneer, and the President of the Internet Society – Slovenia. 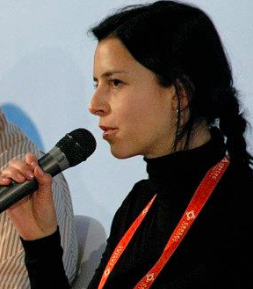 She is also a computer network scientist, founder and first general secretary of the Yugoslavian Network for the Academic and Education Community, which introduced the first Internet services in SFR Yugoslavia in 1991. Among other contributions, she was part of the Internet Architecture Board Character Set Workshop in 1996, and part of her previous work was used in the preparation of the RFC. In 1992-1993 she was project officer and chair of the TERENA (Trans European Research and Education Networks Association) Working Group on Internationalization of the Network services. In 1996-2000 she was member of TERENA Technical Committee. Borka Jerman-Blazic was the first elected chair of the European Council of the Internet Society Chapters (ISOC-ECC). Carsten has worked with midrange systems (AS/400), Unix installations and PC networks since 1990. From 1997 to 2000 he lead the Internet and Security Team at GE Capital IT Solutions in Frankfurt, Germany. His work included Security Installations and Networking Concepts/Projects for many German and international Enterprise Customers. He is working with Men & Mice since 2001 as a consultant, trainer, and engineer. He currently manages the Men & Mice training program as part of the Professional Services division in Europe. 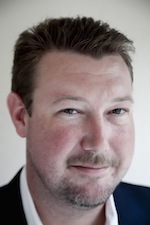 Carsten is an expert on DNS, DNSSEC, DHCP and IPv6 on Windows and UNIX/Linux systems. He is the contact person inside Men & Mice for RIPE and the IETF. Olaf Kolkman is director of NLnet Labs, a not-for-profit Research, Development, and Expertise center for those technologies that turn a network of networks into one Internet. He was actively involved with Internet technology during his astronomy studies during the early nineties, and the Internet became his professional focus in 1996. In 1997 he joined the RIPE NCC where he got involved in the test-traffic project. After being operations manager, responsible for the department that operated the RIPE DNS infrastructure, including the K root-server, he became systems architect and project manager in 2000. He was responsible for DNSSEC deployment at the RIPE NCC and worked with NLnet Labs during the development of NSD. After 2000 Kolkman got more involved in the DNS community and became active in the IETF. He served as chair of the DNS extension’s working group. He also served as Internet Architecture Board (IAB) chair. Shane Kerr is the Director of DNS Software at the Internet Systems Consortium (ISC), which is best known for making the BIND DNS server. Shane started his involvement with Internet organizations when he worked at ARIN as a software engineer. While there he helped implement ARIN’s first IPv6 registry. Since then he moved to the RIPE NCC, working on the RIPE Database and eventually managed the RIPE NCC software engineering department. Shane started at ISC working on the ISC team that added DHCPv6 support to the ISC DHCP server.